Most ordinary homebuyers are now paying the same or higher rates than the affluent few who can afford ‘jumbo’ mortgages – those above $417,000 in much of the country. WASHINGTON — For three decades, the U.S. middle class enjoyed a rare financial advantage over the wealthy: lower mortgage rates. Most ordinary homebuyers are paying the same or higher rates than the fortunate few who can afford much more. Rates for a conventional 30-year fixed mortgage are averaging 4.48 percent, according to Bankrate. For “jumbo” mortgages — those above $417,000 in much of the country — the average is 4.47 percent. Even as the overall U.S. housing recovery has slowed, sales of homes above $1 million have surged in the past year. Price gains have been so great in some areas that middle-class buyers are straining to afford even modest homes. They’re also facing tighter lending rules, larger down-payment requirements and a shortage of houses for sale. — Bankers say they’ve begun using mortgage rates to woo high-net-worth clients: Attractive rates on jumbos have become a way to secure additional business from those clients — from managing their investments to supplying a broad suite of financial services. What’s more, those borrowers tend to be clustered in neighborhoods that lenders consider more stable. “Jumbo borrowers represent the holy grail of what financial institutions are pursuing: that much-desired, mass affluent consumer,” said Greg McBride, a senior analyst at Bankrate. The lower rates are geared for affluent borrowers living in “sweet spots” with strong employment and stable home prices — areas like metro New York City, Boston and sections of California, said Matt Vernon, who leads consumer mortgage lending at Bank of America. “We’re lending where we believe home ownership is sustainable,” Vernon said. Wells Fargo offers jumbos starting at 4.25 percent, about 0.25 point lower than for conventional mortgages. This month, Wells trumpeted the spillover benefits of increased jumbo lending: A 14 percent year-over-year increase in loans from its separate “wealth, brokerage and retirement” division. “Hopefully, it’ll continue to go up,” Wells’ CFO, Timothy Sloan, said of prospects for continued jumbo lending. 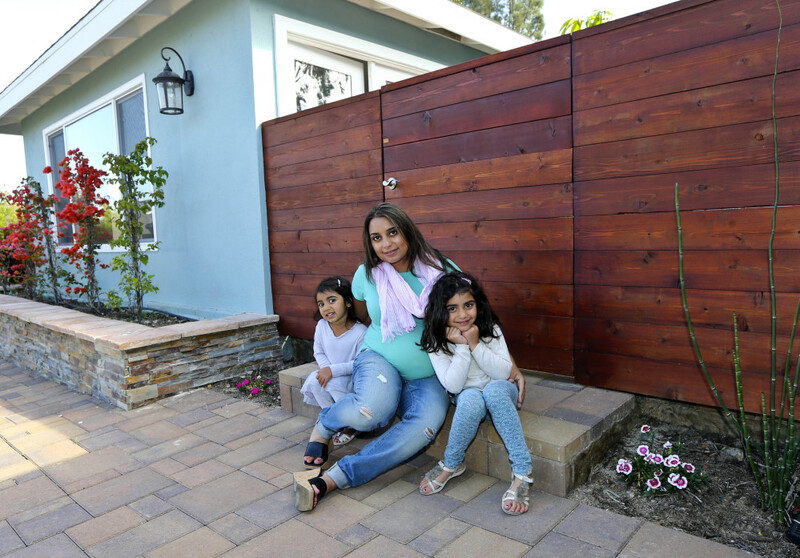 Jumbos are a necessity for nearly everyone in communities such as La Jolla, Calif. That’s where Aniqa Jaswal and her husband in February bought a four-bedroom house about 10 minutes from the beach. “There are no homes below jumbo mortgage prices here,” Jaswal said. The trend coincides with the lopsided nature of the U.S. economy’s nearly 5-year-old recovery. Almost all the U.S. incomes gains from 2009 to 2012 flowed to the top 1 percent of earners, according to tax data analyzed by economist Emmanuel Saez at the University of California, Berkeley. One is Stephanie Kellen, who in December refinanced her home in Marin County, Calif., with a jumbo. The lower-than-usual jumbo rate helped replace a line of credit for her husband’s auto repair business. “The best way to have security was to have low interest rate loans for as long as possible,” Kellen said. To limit taxpayer exposure, Fannie’s and Freddie’s regulator required them to raise fees for guaranteeing mortgages. Those fee increases have boosted conventional mortgage rates and likely blunted the effectiveness of the Federal Reserve’s efforts to keep rates low to invigorate the housing market and the economy. “We’re cutting off the avenue that has the most proven success in wealth building,” said David Min, a professor at the University of California, Irvine, who specializes in mortgage finance. The higher fees have left the industry concerned that more people won’t be able to afford to buy, said Bob Walters, chief economist at Quicken Loans, though the fees might help protect some people from assuming unaffordable debt. “I don’t see the days of those microscopic guarantee fees coming back,” he said.